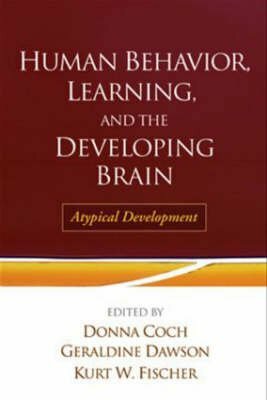 Thoroughly examining brain-behavior relationships in atypically developing children, this important volume integrates theories and data from multiple disciplines. Leading authorities present research on specific clinical problems, including autism, Williams syndrome, learning and language disabilities, ADHD, and issues facing infants of diabetic mothers. In addition, the effects of social stress and maltreatment on brain development and behavior are reviewed. Demonstrating the uses of cutting-edge methods from developmental neuroscience, developmental psychology, and cognitive science, the contributors emphasize the implications of their findings for real-world educational and clinical practices. Illustrations include eight pages in full color.